The experiences of Korean immigrants abroad are not an oft-featured theme within mainstream Korean cinema. This is surprising considering the sheer number of the populace that make the transition to foreign soil every year, as well as the historical relevance of the scores of people who fled the country due to Japanese colonization and the Korean War itself. 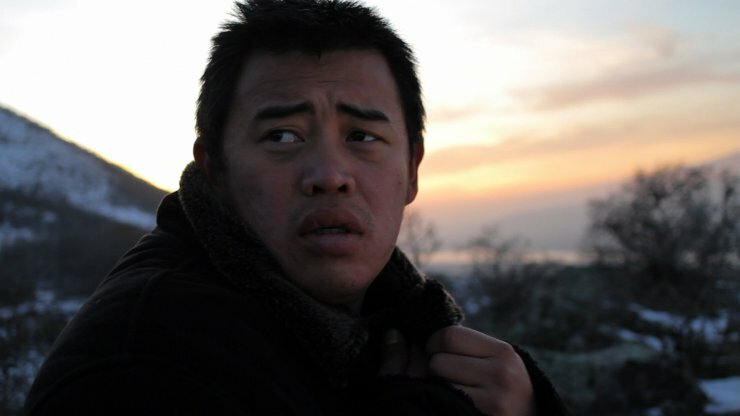 Independent drama Hanaan (하나안), a co-production between Korea and Uzbekistan, explores the lives of third-generation Korean descendants of ancestors deported from the Soviet Union by Stalin. Written and directed by Pak Ruslan (박루슬란), the urban cop-drama is a gritty and raw examination of the difficulties of cultural assimilation, and the all-too-easy fall from grace into crime and addiction. 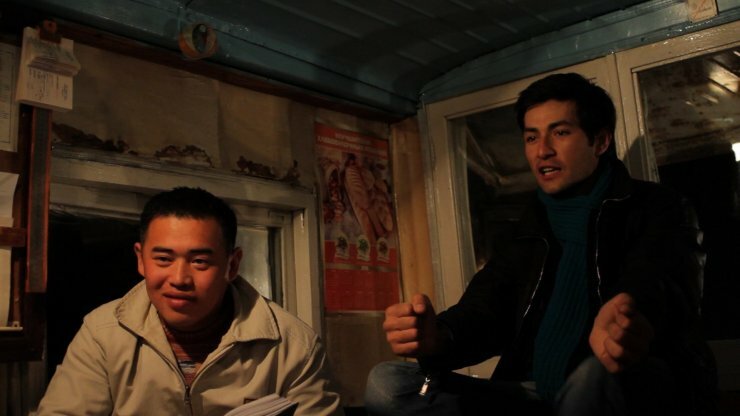 The story is rather unoriginal, yet director Pak’s use of locations and dissection of cultural themes makes for an intriguing foray into the lives of Korean-Uzbeks. Stas (Stanislav Tyan (스타니슬라브 티안) is a third generation Korean living in Uzbekistan, studying to be a cop and to make a difference. Yet his studies are frequently uninterrupted by his friends Kahoy (Dmitry Eum (드미트리 엄), Maha (Bahodir Musaev (바호디르 무사에프) and Said (IIlbek Faiziev (일벡 파이지에프), who are often involved in criminal activity including habitual heroin use. When Kahoy’s brother is attacked by thugs the group set out for revenge, yet the plan drastically backfires when Kahoy is killed. 6 years later, Stas is finally a cop but is overburdened by the sheer abundance of criminality both within society and the police force itself. In a moment of desperate frustration Stas gives in to the temptation of heroin, and must try to claw his way back and find his personal ‘Hanaan’, the land of promise. One of the great strengths of Hanaan is the manner in which director Pak employs locations to emphasize the plight of his protagonists. The street scenes of Uzbekistan are dilapidated and foreboding, conveying a sense of purgatory and depression that the characters are trapped within. Such a stark atmosphere of disillusionment lends credence to the habitual use of heroin Stas and co. partake in, yet in becoming junkies the landscapes alter to highlight their isolation, which are often dank, claustrophobic, revoltingly grimy arenas. The use of syringes in such locations – often public bathrooms – adds potency to such scenes, as the friends experience a sense of faux-euphoria in such squalid places, while further tragedy is incurred through the use of shared needles and the continual downward spiral of their lives. However, aside from the locations the depth of heroin abuse is not conveyed emotionally nor given the necessary weight for the addiction to be a serious issue, which could have been solved with greater character development but which is curiously absent. Director Pak does well in exploring the cultural difficulties of the region through Stas. As the film opens, his daughter asks for a fairy tale and in response Stas tells the story of the persecution against Koreans by Stalin. The historical story not only emphasizes that Korean immigrants have never forgotten the abuse they suffered by handing it down through the generations, but also that from a young age their descendants must mature quickly to survive in the new harsh environment. Yet Stas is not alone in feeling victimized by history. In an entertaining scene during a stakeout, Stas and a fellow cop argue and tease each other about their origins as well as how well they have assimilated Uzbeki and/or Russian culture, using racist language in an attempt to emerge as the more legitimate immigrant. The use of handheld camerawork to such scenes adds realism and articulates the gritty urban sensibilities of the characters, a technique which is also particularly effective during action and chase scenes. While such features combine to give Hanaan a fresh approach in examining the notion of ‘Korean-ness’ and the immigrant experience, the main narrative arc of the film is far from original. Treading familiar territory is in itself no bad thing, yet director Pak doesn’t really offer anything new and engaging in his tale of drug abuse and corruption. The police operation to catch drug suppliers is almost ridiculously easy for Stas and his colleagues and as such holds no real tension, while the subsequent corruption that arises within the force itself is glazed over with brief office scenes. 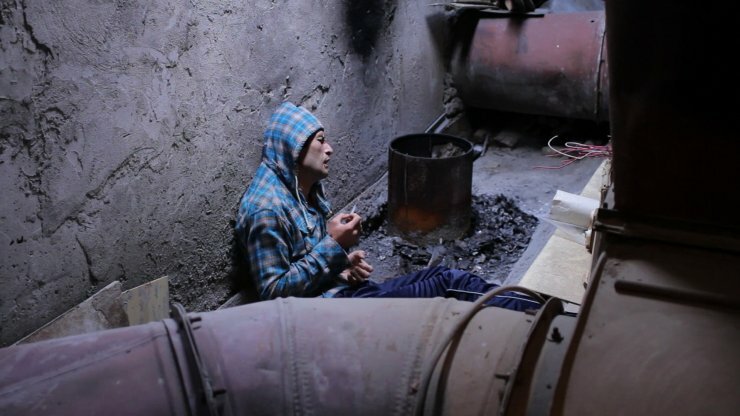 The lack of an emotional core within Hanaan also highlights the limitations of the actors who, while competent, don’t exude the gravitas required for the story to be a poignant and compelling exploration of drug abuse and the rocky path to redemption. Hanaan deserves credit for exploring the oft-ignored plight of Korean immigrants abroad, and highlighting their historical struggles of cultural assimilation. Director Pak Ruslan employs effective use of stark, purgatorial landscapes to emphasize inner turmoil, while the handheld camerawork conveys realism to the proceedings. 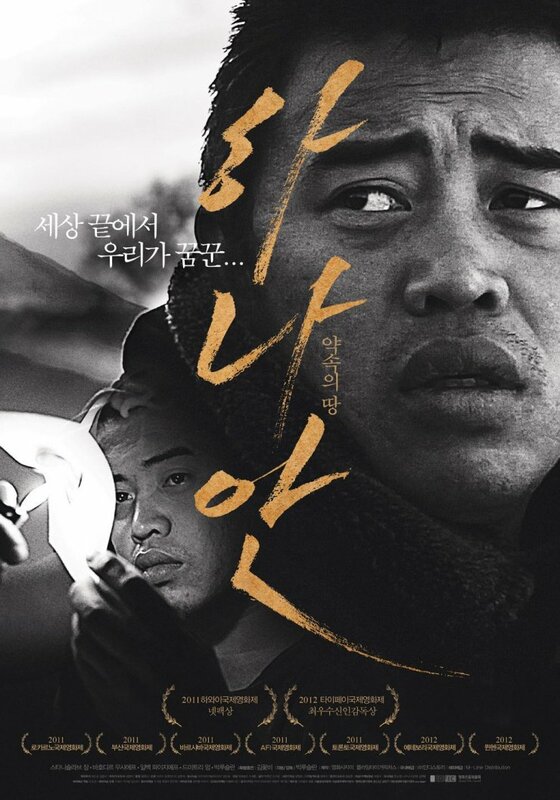 However, the story is hampered by a rather unoriginal premise, underdeveloped characters and absence of an emotional core, making the Korean-Uzbek co-production an intriguing, but lacking, crime drama.